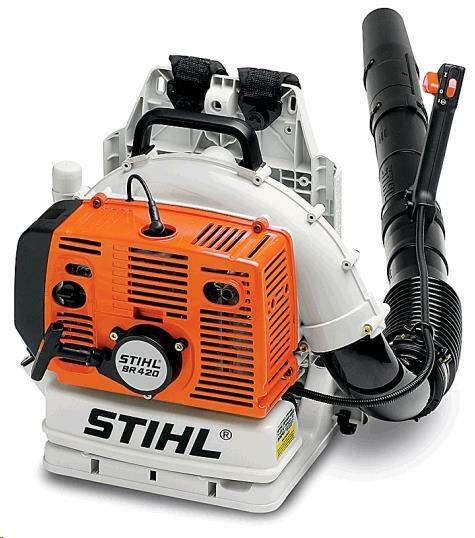 The STIHL BR 550 features a powerful, low-emission engine and specially designed muffled blower tube so that it operates at a quiet 65dB(A). This makes the BR 500 an excellent choice for use in residential neighborhoods or in municipalities with noise restrictions. The blower also includes a 2-position adjustable blower tube, giving you greater control over its powerful air flow, and all controls on the hand grip for ease of use. * Please call us with any questions you may hav about our blower lawn back pack rentals in Wayzata MN and the Western suburbs of Minneapolis.